have been discussing futurism and transhumanism since the 1970s but only now are we seeing it impact our daily lives. ONES & ZEROS: vol. 1 continues to embody the musical direction envisioned by band founders Robert James Pashman & Patrick Kliesch in 1990: to create interesting and engaging music that mixes accessible melodies and catchy hooks with the intelligence and complexity of Progressive Rock. Releasing a debut cassette in THE WORLD IN WHICH WE LIVE in 1993 (w/ Pashman on lead vocals), 3RDegree decided to step up their game in 1995, adding a world class lead vocalist in George Dobbs and releasing their first CD (second “album”), 1996’s HUMAN INTEREST STORY, which was re-released digitally in 2013, remastered. After playing many live shows in the New York City area gaining little traction, the band hung it up, leaving much material sitting on the proverbial cutting room floor. Dobbs would continue musical endeavors including solo albums, Pashman and Kliesch would work on projects together (P0rtal) and a solo album each apart…but talk of 3RDegree was couched in the past tense until Pashman would make a video collection in 2005, putting together all the band’s music videos and performances onto DVD and basement tapes onto CDs. 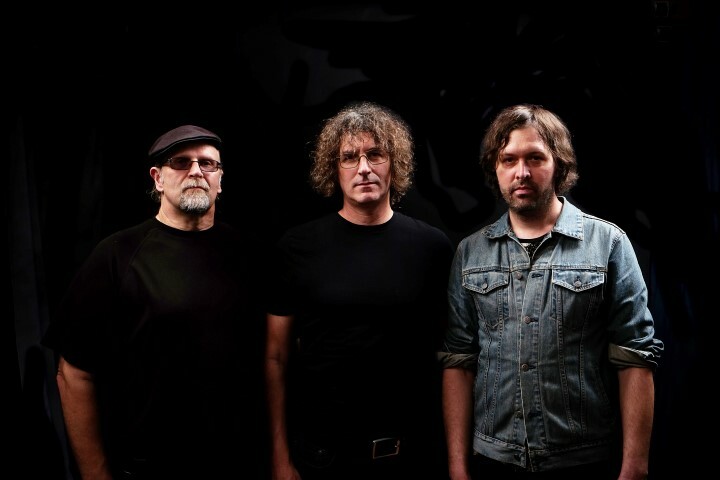 Discussion of the songs left behind bubbled under throughout that year until the original trio met at a NYC bar where it was agreed upon that the band would record again and later, play reunion concerts at NJ Proghouse in 2007 with original drummer Rob Durham and long time collaborator, guitarist Eric Pseja. 2008 saw the release of NARROW-CASTER (which included the aforementioned songs along with brand new ones) making a big splash in small progressive rock ponds worldwide with the Dutch Progressive Rock Page (DPRP.net) reveling: “It’s not often an album as refreshing as this comes along, and we should treasure it when it does…an album that demands repeated spins, and rewards every listen with some new revelation”. In 2009, drummer Aaron Nobel joined and the band played shows in Brooklyn (w/Phideaux), Connecticut (Marprog), Washington D.C & North Carolina’s ProgDay (w/Ozric Tentacles) later finding themselves working on some tracks with two different themes but with election year coming in 2012, the band decided that their political crop of songs would be particularly timely. THE LONG DIVISION would be released ahead of election day followed by many 2013 mid-year shows performed with IZZ, The Tea Club, Half Past Four, Dreadnaught and others culminating in a return visit to ProgDay ’13’s pre-show-all with new lead guitarist Bryan Zeigler. The album’s single “You’re Fooling Yourselves” made the Top 10 Songs Of The Year at DPRP’s yearly Poll (alongside many, much more “established” bands) and-even now-sits high in the Top Albums of 2012 at ProgArchives.com. After two “DIY” album successes, the band nonetheless decided to join forces with 10T Records to open up new ears to the band’s unique take on a loved genre. In early 2014, the band made an appearance at Québec City’s Terra Incognita Festival, w/Glass Hammer-3RDegree’s first show outside the USA. 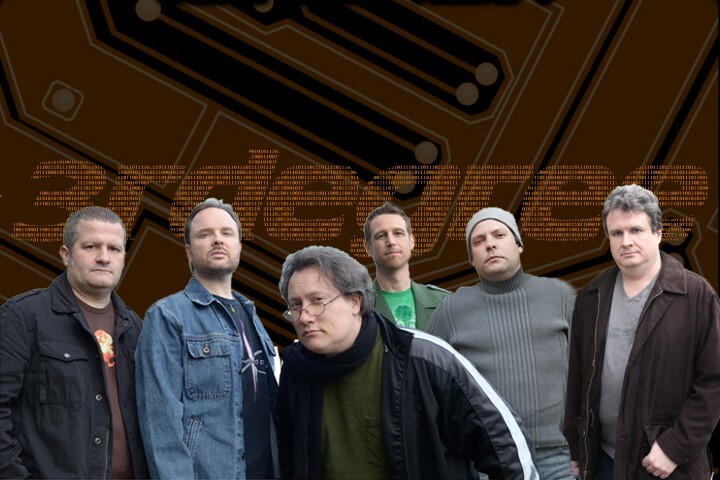 In July 2015, 3RDegree released a new album on a new label and are poised to play a tour that will not only hit the American northeast, but also the U.K. (England & Wales), France, Germany & The Netherlands. 2016 holds in store a completed second volume of Ones & Zeros as well as additional live performances. 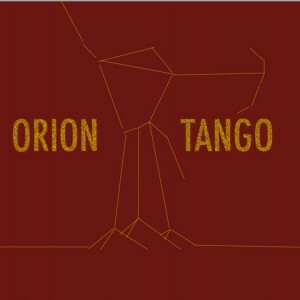 Astounding playing all around by the trio of ORION TANGO on their instrumental debut album which features the seasoned talents of Barry Meehan on bass, Tim Motzer on guitars, + electronics, and Jeremy Carlstedt (protege of Chico Hamilton) on drums. The Orion Tango album is no-holds-barred avant rock, filtered by somnambulant clouds of sound, held down and dosed heavily by Meehan’s stalwart bass playing. He inhabits a unique bass world―Astounding playing all around by the trio of ORION TANGO on their instrumental debut album which features the seasoned talents of Barry Meehan on bass, Tim Motzer on guitars, + electronics, and Jeremy Carlstedt (protege of Chico Hamilton) on drums. Jeremy Carlstedt’s propulsive and dynamic drumming needs no introduction, a NYC jazz-rock drummer, who swings and composes, and is certainly one of the East Coast’s finest players. Tim Motzer’s baritone guitar work displays his improvisational sonic artistry to maximum affect with signature atmospheric mists of sound to euphoric fuzzed-out solo departures and pan-African kalimba-esque acoustic-electric journeys. Their debut album is a tour de force― 3 masters at work― creating in the moment in the studio. Meehan’s bass drives and anchors the record―amongst Motzer and Carlstedt’s extended flights―no overdubs―telepathically improvised compositions. Tim Motzer After 17 years of world touring, stunning collaborations, and over 70 albums of credits this Philadelphia-based guitarist continues to traverse manifold territories in music and has developed a distinct textural guitar voice utilizing looping, bowing, electronics, and prepared techniques. He has collaborated musical luminaries: David Sylvian, Burnt Friedman, Jaki Liebezeit (CAN), Ursula Rucker, King Britt, Jamaaladeen Tacuma, Pat Mastelotto, Julie Slick, Tobias Ralph, Markus Reuter, Kurt Rosenwinkel among many others. As a leader, his projects include Orion Tango, RMS, Goldbug, Instant Takemitsu, Global illage, Base3, Nucultures, & Tim Motzer SOLO. He releases his genre-defying solo work and collaborations on his 1k Recordings imprint and webcasts sessions from his studio on 1ksessions.com. He composes for film and video, and scores for choreographers in the world of modern dance. Jeremy Carlstedt New York City-based drummer/songwriter/vocalist Jeremy Carlstedt has performed with some of the most forward thinking artists in jazz, rock, electronic and world music. As a protege of the legendary Chico Hamilton, Jeremy has absorbed music history in the best possible classroom: on the bandstand as a member of Hamilton’s group Euphoria as well as Vincent Chancey’s Phat Chance, Brian Settles and Central Union, and collaborations with guitarist Tim Motzer, which have put him on some of the world’s most prestigious stages including, The Kennedy Center, Lincoln Center, Newport Jazz Festival, Syracuse Jazz Festival and Roulette. Jeremy’s first solo recording, ‘When I Wake Up’ , released in October 2012, is an art-rock EP featuring his drumming, vocals and compositions. His forthcoming album ‘Stars Are Far’ due out in 2015, will feature his band (Brian Settles, Tim Motzer, Eric Wheeler, and Carlstedt) in a compositional and improvisational free jazz setting. Barry Meehan Originally from the Cincinnati-area,where he worked with adrian belew and the bears, Meehan moved to Philadelphia and eventually became involved with cutting edge musicians in the experimental jazz scene. He’s no stranger to 1k Recordings fans either, having played bass & collaborated on numerous recordings by Nucultures, Base3, Secret Voices, Goldbug, Fractured Reverb Underground, and Orion Tango. A stalwart bassist and wonderful song writer, his list of credits also includes touring internationally with the Sister Gertrude Experience. A tango is all about moving smoothly as one with your partner. Orion Tango’s tango is all about doing the same thing between minds and instruments. The newest project from Philadelphia’s genre-defying 1k Recordings label consists of guitarist Tim Motzer, bassist Barry Meehan and drummer Jeremy Carlstedt: a team of premier musicians who’ve played together in various settings in the past, but never in this trio configuration before. Their self-titled debut shows both the familiarity of longtime collaborators and the eagerness of a fresh outfit just discovering what it can do. Drawing on the experimental spirit of Krautrock as much as the deep rhythmic stew of urban dub, offering infectious power-rock grooves and occasional noise on the edge of chaos, Orion Tango is a thick slice of heavy power-trio improv as this crew does it best. It’s a treat for familiar 1k listeners who love the forward-thinking eclecticism of Base3 or Global Illage, newcomers looking for one of the most exciting under-the-radar discoveries of the season, or just anyone with adventurous ears. Catch them onstage this fall and be ready for anything.